If you have carefully drafted an estate plan, which leaves your assets to the individuals that you want it to, sets up a few trusts and asset protection vehicles, and accounts for medical directives and powers of attorney in case you are unable to tend to your affairs, congratulations are in order. You have done a good job in being proactive and ensuring that your family will not be fighting over property and ensuring that your assets aren’t consumed by taxes or creditors. But even the most careful planning can often have crucial items that are overlooked. Sometimes this is because you use a do-it-yourself estate kit or website, and sometimes it’s just because details that nobody thinks about get passed over. 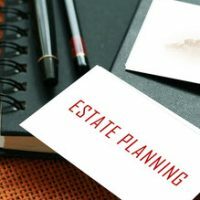 Here are some things that even the most careful and well thought out estate planning documents often don’t consider. Inflation can often be a financial killer that can alter what is intended in estate documents. Based on the current rate of inflation, you must account for the fact that your assets and retirement account will lose (or have value decreased by ) about 3 percent of their value yearly. For large estates, this can equate to a lot of money. People who want to make sure that children receive equal amounts of an inheritance must take into account inflation. Those leaving a sum of money in trust to loved ones to be used far in the future must account for the fact that what they are leaving today won’t be what is ultimately inherited, in terms of the value of those dollars. The expense of long term care must be considered in your estate planning budget. This may include in-home care, for those wanting that option. Medicare does not cover these expenses. If you’re young enough—roughly in your 50s—you may be able to buy long term care insurance. The benefit of an insurance plan is not only saving on the expenses, but that the cost of a premium is much easier to budget and account for in an estate plan than actual long term expenses, which are often nothing more than an educated guess as to what you think they may be in the future. Family issues can take many forms. For example, there are many couples that are separated but have never legally divorced (Florida does not recognize legal separation, no matter how long you’ve been living apart). Or, you may have lived with someone for many years and consider them your spouse, but you have never legally married. Forgetting these details can be disastrous to an estate plan. You may have a minor biological child living with an ex-spouse who you want to leave an inheritance to, but would prefer the ex-spouse not control how those funds are used. You may have an adult child with potential creditors who you do not want to leave an inheritance to directly. The complexity of family matters means they have to be taken into account in an estate plan. Are you protecting your estate and planning it as carefully as possible? Contact Tampa asset protection and estate attorney David Toback to discuss your trust and estate plans.